Adventures of a Thrifty Mommy: NCircle Entertainment: The Wiggles Big Birthday DVD Review and Giveaway! - CLOSED! NCircle Entertainment: The Wiggles Big Birthday DVD Review and Giveaway! - CLOSED! Can you believe that The Wiggles have been around for 20 years!? Both Bella and Sam have danced around with The Wiggles. I have very fond memories and videos of them dancing and singing along with The Wiggles! Well, earlier this week, The Wiggles released a brand new DVD entitled: The Wiggles: Big Birthday! We were all thrilled to receive this great DVD filled with over 20 of the kids' favorite Wiggles songs! There is also a documentary featuring the first 20 years of The Wiggles entitled "Everybody Clap!" I enjoyed watching that! Of course all of our favorites were featured in this DVD: Wags the Dog, Dorothy the Dinosaur, Henry the Octopus and Captain Feathersword! 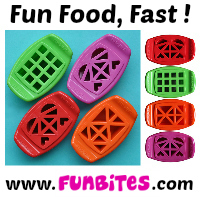 This is a must have for your toddlers and preschoolers! The Wiggles Big Birthday! DVD invites children aged two-to-six to sing, dance and wiggle along with Murray, Jeff, Anthony, Sam and their friends Captain Feathersword, Wags the Dog, Henry the Octopus, and Dorothy the Dinosaur as they celebrate their Big Birthday. 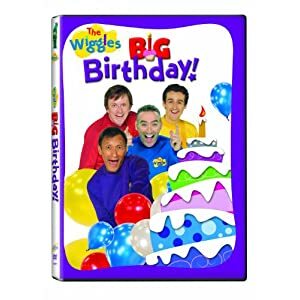 Filled with music, including many classic Wiggles songs performed live, the DVD also offers some terrific birthday surprises and tummy-tickling jokes for even more wiggly, giggly fun! A special bonus feature on the DVD is the one-hour documentary, “Everybody Clap! Everybody Sing!” which covers The Wiggles’ first 20 years. You can purchase The Wiggles: Big Birthday! on Amazon for only $9.99! Thanks to NCircle Entertainment, one lucky Adventures of a Thrifty Mommy reader will win a DVD copy of The Wiggles: Big Birthday! Click "Read more" and follow the Rafflecopter directions to enter. I don't have kids, but have heard great things about the Wiggles and know my niece and nephew would love it! Anthony, of course. The hot one! My daughter doesn't have a favorite. She likes them all. My grandchild also loves Anthony. we are new wiggles fans so I don't know. i love anthony!! but my daughter loves jeff! Well, I did like Sam the best but now I guess our favorite is Maury. My son loves Anthony too. I like Jeff, but I love Dorothy! Anthony is my son's favorite! my children love Jeff, Wake up Jeff!!!!! I don't have a favorite.. i've never watched. Would have to be Maury!